Dr. Bobby Jones has spent a significant portion of his life in gospel music. As a singer, radio and television host, educator, author, Grammy Award winner, and filmmaker, Jones has enjoyed an illustrious career in gospel music. Born in Tennessee, he went to college at Tennessee State University where he received his B.S. degree in elementary education, his Masters of Education degree from there as well, his Ed.D. degree from Vanderbilt University in Nashville in 1980, and he also graduated from Payne’s Theological Seminary with his Th.D. degree. 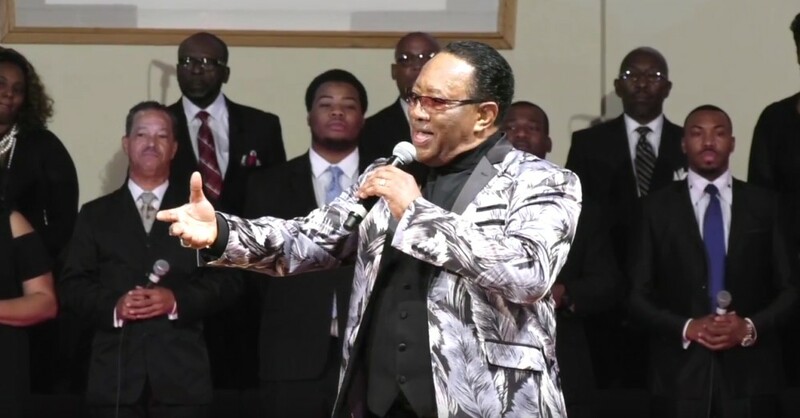 Jones has won numerous awards throughout his life including the NAACP Image Award and the Gospel Music Association Dove Award. In 1980, BET (Black Entertainment Television) debuted Bobby Jones Gospel, where it became the longest running original series on cable television. He’s hosted numerous other television and radio shows along with releasing 13 albums, and has written two books about his life in gospel. Jones is an icon, and has helped launch and establish the careers of many gospel artists. He was also instrumental in showcasing younger gospel artists who had appeal with a secular audience, like Kirk Franklin who blended hip-hop with gospel, and Yolanda Adams, whose jazz influenced gospel became internationally acclaimed. Jones lives in Nashville and hosts a weekly radio countdown and hosts a show for The Impact Network. Journalist Jewly Hight caught up with him for this story from NPR’s Morning Edition.